Samsung has confirmed this week that the new Samsung Chromebook Pro will be launching in just under a week’s time on May 28th, 2017. Bringing with it a number of features within the operating system ahead of its smartphone counterparts. 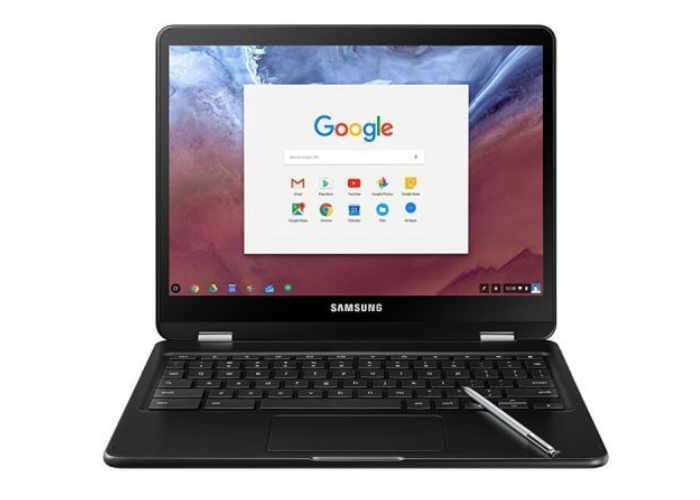 The Samsung Chromebook Pro notebook is equipped with a 12.3 inch display offering users a resolution of 2400 x 1600 pixels and is powered by an Intel Core M3 Skylake processor supported by 4GB of RAM and includes 32GB of internal storage and the system also comes with support with the stylus. Details of the new system were first unveiled during CES 2017 back in January but more recently a product page was spotted on the Amazon website revealing the launch date, before it was removed. However since its removal Kan Liu a senior member of the Google Chrome OS team has now confirmed that the date was indeed correct and that we can expect the new Samsung Chromebook Pro system in the next couple of days. As soon as more information is officially made available by Samsung we will keep you up-to-date as always.